Project-Nerd’s very own Bob Garrett got an exclusive interview this past weekend at Denver Comic Con with the talented Max Brooks. 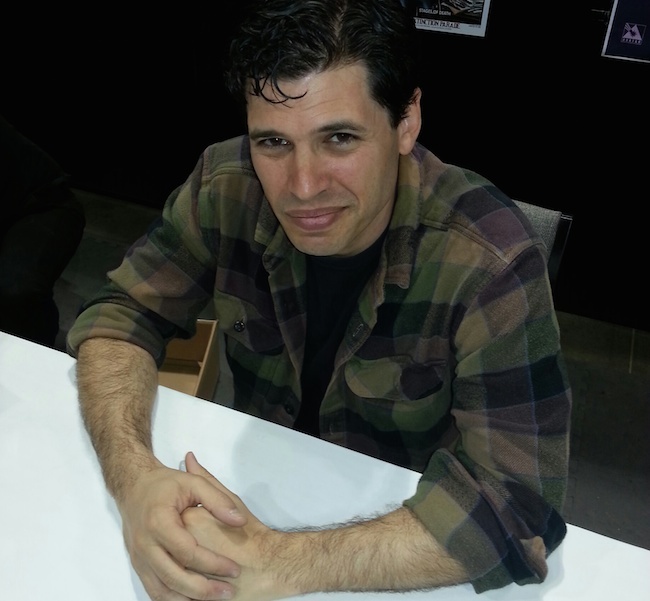 Max Brooks, the son of Mel Brooks and Anne Bancroft, is a writer best known for his Zombie Survival Guide and World War Z. Bob talked with Max Brooks about those zombie books, growing up as the child of Brooks and Bancroft, as well as so much more. For more on Max Brooks you can pick up his books, Zombie Survival Guide and World War Z, on Amazon. Denver Comic Con is part of the 2014 ProNerd Tour. You can find more coverage of Denver Comic Con and the other great conventions and events we attend on our 2014 ProNerd Tour Page.